MBBS and Post Graduate Admissions are carried out through Director General of Health Science (DGHS), New Delhi. For further details please visit the website http://mcc.nic.in. 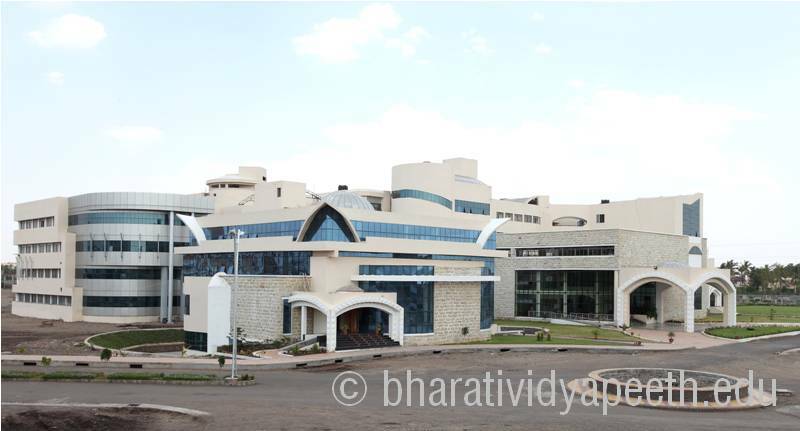 Bharati Vidyapeeth (Deemed to be University)'s Medical College, Sangli was established in 2005 with facility for 100 M.B.B.S. admissions per year. Presently 150 M.B.B.S. students are admitted per year. The college also runs Postgraduate Courses, admitting 47 candidates in 17 different departments every year. The college is housed in multi-stored, well ventilated, spacious building with an area of 2.5 lakh sq. ft. The institute is well-equipped with laboratories and state of the art museums and has become a center for academic excellence. The college has well organized theoretical and practical teaching schedule for the students, so that they can become excellent professionals to serve the society. With highly qualified & dedicated staff and advanced equipment the institution imparts quality training for the students and complete patient care. Our faculty members are undertaking quality research projects through Institutional Ethical Committee and many of them have represented it National and International level. The institute has as provided comfortable accommodation facility for the students and also has residential quarters for the teaching staff.